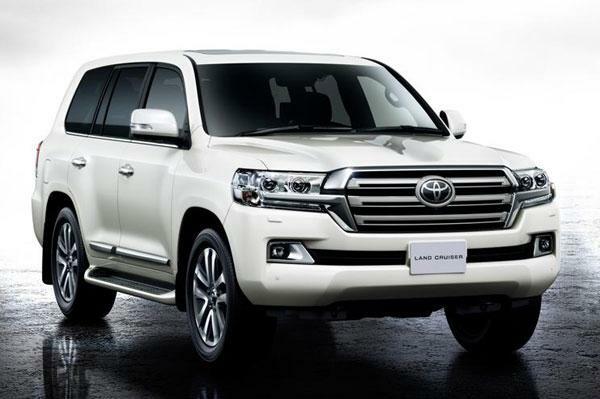 Japanese Automaker, Toyota has unveiled the facelifted Land Cruiser 200 in Japan. This premium luxury SUV would also get styling updates to the exterior and interior along with many safety features that are offered as standard to its all model range. Talking about the design of the car, at the front, Toyota Land Cruiser facelift would get a large three bar chrome grille with chrome surround that extends under the headlamps. The headlamps are of new LED units while the bumper has been restyled and the fog lamp housing gets chrome inserts. The bonnet has also been redesigned and features dual power bulges, further improvizing the SUV’s muscular look. 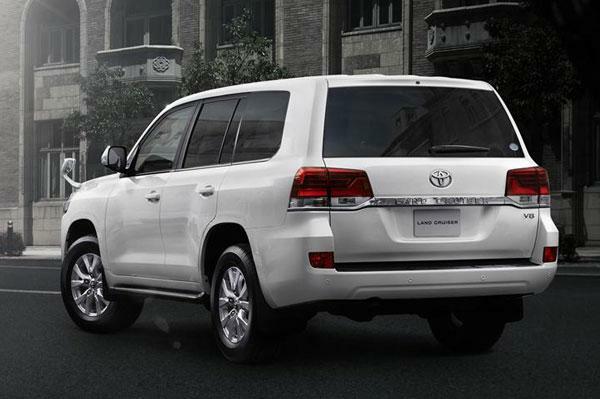 At the rear of the car, the new tail-lamps are joined by a chrome bar that comes emblazoned with the ‘Land Cruiser’ name. Talking about the interiors of the car, the design of the dashboard and centre console have been revised. The refreshed Land Cruiser would get a new instrument cluster with a bigger multi-information display, and the centre console is dominated by a much larger infotainment screen which is flanked by large air con vents with chrome surround. The control surfaces along the centre console have also been revised, and the steering wheel is also new. The third row of the car would also get a centre headrest to accommodate an additional passenger. This safety system uses radar plus camera in order to detect pedestrians and vehicles and would alert the car driver via audio and visual alerts whenever there is a possible impact. The car’s safety system also features autonomous braking that instantly applies the brakes in case of an imminent impact, from speeds ranging from 10kph to 80kph. This safety system also uses the radar and front-facing camera in order to monitor the traffic around the vehicle and alters the speed of the SUV as per the speed of the vehicle which is present in front. The front-facing camera present in the car would scan for lane markings ahead and alerts the driver if the vehicle deviates from the intended lane. The automatic high beam technology uses the front camera to scan for approaching headlamps and also the tail-lamps of the vehicles in the front to switch between high & low beam rays. The other safety features of Toyota Land Cruiser facelift include Blind Spot Monitor by using the radar, The rear cross traffic alert system makes the driver aware of vehicle price in the blind spot while reversing, tire pressure monitoring and warning system on the multi-information display and automatic hazard light flashing during hard braking. The refreshed Toyota Land Cruiser uses a 4.6-litre V8 petrol engine and the power would channel through 6-speed automatic gearbox. After the car launch in Japan, Toyota is expected to expand Toyota Land Cruiser’s availability to other countries as well.